Hybrid Electric Safety Gloves are the most important articles of personal protective equipment when working on high voltage vehicles. They are the first line of defense for contact with any energized components. Large Glove with Leather outer protector set. Safety Gloves must be inspected prior to each use in accordance with ASTM Standard F1236 and the applicable Service manual for the vehicle being serviced. 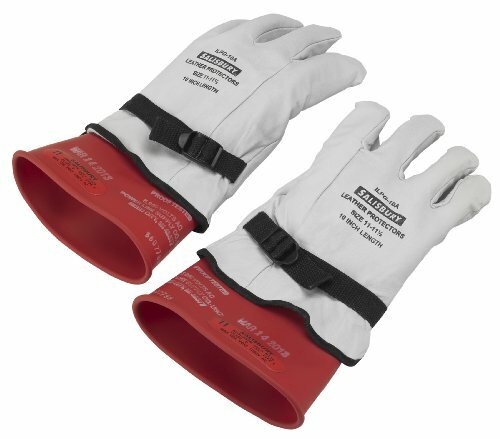 Rubber insulating gloves must be retested electrically at least once every six (6) months using the test procedures described in the most recent editions of ASTM Standard F496.